Porthole windows remind most people of ships, and although that is where they got their origin, they can add an interesting design element to a home. Whether you are looking to install a large or small window, are interested in creating a vintage look or want to go more modern, adding these circle windows can add interest to a home and can serve as a great focal point. Porthole windows go well in a nautical themed room or can add a touch of architectural interest just about anywhere. They often used in bathrooms (due to their small size), basements and dens, although they can be used just about anywhere in a home that could use a bit of interesting window design. Since most porthole windows aren’t operational, they are usually fairly energy efficient although the types of glass and how the glass is sealed in the frames will affect energy efficiency (vintage styles will not come with some of the more modern energy efficient features available in today’s windows). The price of these windows can vary greatly depending on such factors as size, materials, quality, and the manufacturer of the window. 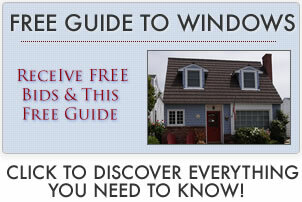 Vintage or reclaimed porthole window prices can also vary widely depending on the source. If you are not simply installing a porthole replacement window, be sure to factor in labor costs to frame out a new window, which can get rather pricey due to the unusual shape of these types of windows. The durability of a porthole window will be affected by the window itself, whether it is vintage, and if so, how old it is, etc. Adding to its durability is the fact that the windows are not operational, so there are no moving parts. That depends. Because they do not open, they offer less air leakage. However, older porthole windows will not come with more modern energy efficient features, such as low-e coatings or gas fills. A tightly sealed and proper installation is important in order for these windows to boast the most energy efficiency, which can be somewhat difficult due to the shape of the windows. Porthole windows come in a wide variety of sizes. They can have various types of decorative glass, such as frosted, tinted or even stained glass. Depending on if the windows were reclaimed from an old ship, they may have other design elements as well. 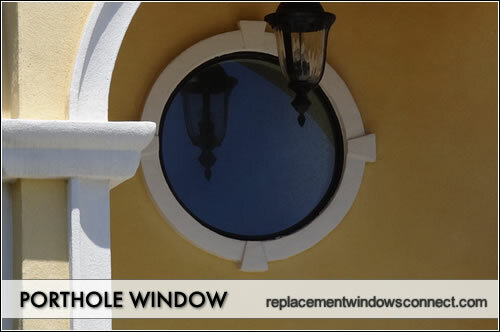 Replacement porthole windows can be installed in a space in which an existing round window once was, or you can frame out a wall for a new construction porthole window to provide interest anywhere you would like. While you can go and purchase a new porthole window from some window manufacturers, many people that like the look of porthole windows prefer the idea of using a reclaimed or vintage porthole window, usually taken directly from an old ship or sailing vessel. This provides added interest and appeal to the window.